It is estimated that in 2019 there will be 182,000 job openings in Canada’s tech sector—and no Canadians to fill them. So there will be big opportunities for the foreigners to migrate to Canada and apply for the job. If they have technical skills and degree, they are eligible for the Canada tech jobs. This will give the opportunities to the candidates having a professional degree in technology and IT sector. Canada is a home to a vibrant tech sector that is looking out for workers. 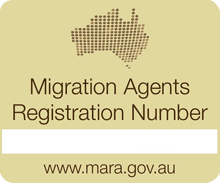 Are you looking to check your eligibility for the Canada migration? We are here to assist you on Canada skilled migration. Take our Free assessment and get registered with us. Some big companies i.e. Software, information technology, finance, and retail in Toronto are competing for the best and brightest professional IT talent. Getting a job in tech is very different from any other industries. Your competence and effectiveness can be judged easily. This tech job is different from any other fields like banking, accounting, teaching, legal. Getting a job in Canada is a process and candidates choose about it in different ways. For finding a good company really depends upon your eligibility, work experience and the field you are looking for a job. The better the qualification with experience you have the better you will the job offer. Find the company that interests you or a company culture that speaks to you. Check every possible way including social media. If you have a degree and work experience in IT or Tech field, and looking to migrate to Canada the opportunity is there for you. 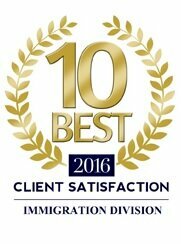 Want more information and details contact our Canadian immigration experts or Fill the free assessment form for FREE consultation.